Medford (The Daily Briefing with Dana Perino- Fox News Channel) -- Fox News tours Canine Companion's New England Campus. 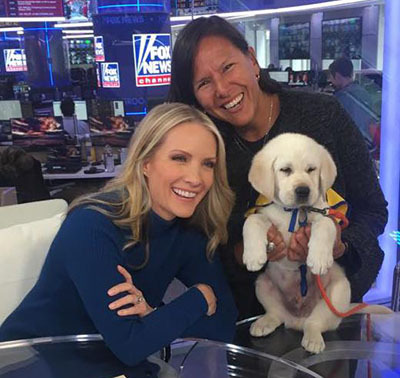 Fox News Channel's Dana Perino gets a firsthand look at what it takes to make a 'Diamond in the Ruff' as Canine Companions for Independence® expands its program to give veterans with PTSD assistance dogs free of charge. Click here to see the original story.